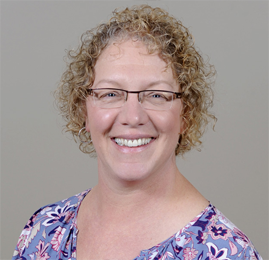 Lori earned a Bachelor of Arts degree in Psychology and additionally gained an Associate’s degree as an Occupational Therapy Assistant from Newman University. While in the OTA program, she was chosen by her peers and instructors as the Occupational Therapy Assistant student of the year. She is licensed with the Kansas State Board of Healing Arts and is a member of the American Occupational Therapy Association. Lori has a passion for promoting health and well-being at work and in life. She enjoys swimming, biking, running, yoga, karate or anything that challenges her. Her husband, two sons, and two dogs enjoy camping and hiking at Wilson Lake together.